NEWTON, Mass., July 24, 2014 /PRNewswire/ -- TripAdvisor®, the world's largest travel site*, today announced it has entered into an agreement to acquire Viator, a leading resource for researching and booking destination activities around the world. Viator features more than 20,000 bookable tours and attractions and more than 600,000 reviews, photos, and videos submitted by travelers. "Viator will be a great addition to the TripAdvisor family, as online and mobile bookings for attractions and activities represents a huge opportunity for our business," said Stephen Kaufer, president and CEO of TripAdvisor, Inc. "Travelers want to explore local attractions while on their trip, and Viator's depth and breadth in global attractions combined with their seamless booking experience will provide immediate benefit to our community, whether in the planning phase or on the trip." "Our selection of tours and activities spanning 1,500 destinations are a strong complement to TripAdvisor's wealth of in-destination planning resources," said Ms. Barrie Seidenberg, CEO and president of Viator. "We share a vision for providing the resources travelers need to plan and have the perfect trip, and this deal would enable Viator to help more travelers experience the best activities their destination has to offer." Viator works with the best local operators to provide travelers with access to tours and activities in popular destinations worldwide. Bookable in 10 languages and in 10 currencies, travelers can book online in advance, and in destination via the Viator Tours & Activities App. In addition to its consumer-direct business, Viator also provides local experiences to more than 3,000 affiliate partners, including some of the world's top airlines, hotels and travel agencies. Viator has more than 250 employees who will continue to work at the company's headquarters in San Francisco and offices in Las Vegas, London and Sydney. Subject to the completion of customary conditions, the acquisition is expected to close during the third quarter of 2014. Upon closing, Viator will be the fourth acquisition in 2014, following lafourchette, Tripbod, and Vacation Home Rentals. The purchase price for the transaction is approximately $200 million, subject to adjustment, and will be payable substantially in the form of cash. 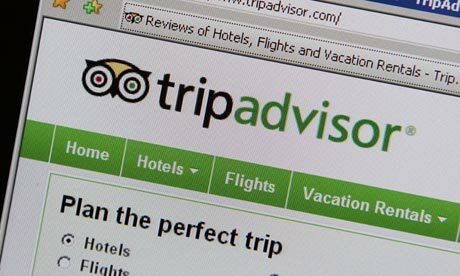 TripAdvisor, Inc. (NASDAQ: TRIP) manages and operates websites under 23 other travel media brands: www.airfarewatchdog.com, www.bookingbuddy.com, www.cruisecritic.com, www.everytrail.com, www.familyvacationcritic.com, www.flipkey.com, www.gateguru.com, www.holidaylettings.co.uk, www.holidaywatchdog.com, www.independenttraveler.com, www.jetsetter.com, www.lafourchette.com, www.niumba.com, www.onetime.com, www.oyster.com, www.seatguru.com, www.smartertravel.com, www.tingo.com, www.travelpod.com, www.tripbod.com, www.vacationhomerentals.com, www.virtualtourist.com, and www.kuxun.cn. Viator is the leading global tours and activities provider for travelers, delivering online and mobile access to thousands of curated trip activities including tours, attractions, shore excursions and private guides, in more than 1,500 destinations worldwide. In-house travel experts work with trusted local operators to ensure the quality and value of every experience, all backed by Viator's 24/7 customer service and global low-price guarantee. With more than 600,000 verified reviews and photos plus exclusive videos and insider travel tips, Viator has everything a traveler needs to find and book the best things to do worldwide. In addition to the flagship site - Viator.com - travelers can book in advance or in-destination via the Viator Tours and Activities App, as well as local-language sites for European, Latin American and Asian travelers. Viator also provides tours and activities to more than 3,000 affiliate partners including some of the world's top airlines, hotels and online travel agencies. Founded in 1995, Viator is headquartered in San Francisco with regional offices in Sydney, London and Las Vegas. Disseminating tourism knowledge, enhancing the expertise on tourism and climate change and advancing sustainable tourism in Asia and the Pacific are some of the areas of cooperation agreed between the Griffith Institute for Tourism (GIFT) and United Nations World Tourism Organization UNWTO (Madrid, Spain, 21 July 2014). The cooperation agreement was signed by UNWTO Secretary-General, Taleb Rifai, and the Director of GIFT, Professor Susanne Becken, during a meeting at UNWTO’s headquarters in Madrid. “We are very pleased to reinforce the already close collaboration between UNWTO and the Griffith University, a trusted and valued Affiliate Member of our Organization and an example of the leadership of Australia in the area of tourism research and education”, said Mr. Rifai. ”This partnership enables us to further narrow the gap between demand and supply of tourism research in a number of important areas, not the least tourism and climate change, which is a key priority for both organizations”, he added. The collaboration between UNWTO and GIFT will include research on the role of Asia and the Pacific in global tourism, and the creation and dissemination of knowledge on climate change and sustainable tourism development in the region, one of the main challenges facing tourism in Asia. GIFT, a UNWTO Affiliate Member and partner of the UNWTO Knowledge Network, is a world leading tourism research institution of the Griffith University, in Australia. With strategic research programmes in areas ranging from climate change and aviation management to tourist experience and health in Asia and the Pacific, GIFT works to advance the adoption of evidence-based best practices within the tourism sector. Flamin' Galah Sydney Tours & Airport Transfers is now 4 years old and is one of the most recognised brands operating on Sydney’s Northern Beaches. Since it began, there has been one clear vision and a sole objective. This was to create tour products that showcase Sydney’s spectacular coastal and rural scenery and to take customers to magical places that they would never find for themselves. Taking people to Sydney’s secret spots and seeing their eyes light up as they draw breath at yet another classic viewpoint is extremely rewarding. This has motivated us to expand our product range and helped us to grow and develop fresh and exciting itineraries around parts of Sydney that we are proud to still be discovering and exploring. 1) We provide a comprehensive tour and transport service in and around Sydney that can be booked only on a private charter basis. We realise there is a big demand for couples, large families or groups to design their own experience in and around Sydney, or have us design an itinerary for them, with the help of our local knowledge. The outcome is a comprehensive, personalised and cost effective itinerary that meets all the customer’s individual needs. We provide this service for 1-24 people and can service all sorts of requests from half day to full day tours and to almost anywhere the customer wants to go. This product has proven very popular for people who are looking for tour options as they transfer from the airport to a cruise ship or vice versa. 2) By far our most popular and totally unique product is our Home and Away Tour to Palm Beach, Summer Bay. 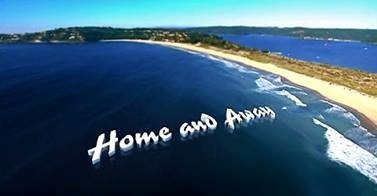 This tour captures the sights and sounds of the hit TV series and allows fans from all over the World to experience and step inside the “real” Summer Bay. Included on this tour is a bonus tour of Sydney’s magnificent Northern Beaches, as we showcase some of the area’s most scenic coastal roads, viewpoints and beaches only the locals know about. Many people who visit Sydney also have Manly on their bucket list, so we have designed Manly into the itinerary and finish the tour there, allowing people to soak up the area’s vibrant atmosphere and appreciate one of Sydney’s most love beach destinations. 3) Separating us apart from an infinite number of other Sydney tour operators are our unique Blue Mountains tour and Hunter Valley wine tasting tours direct from Manly. These provide customers who are staying on the Northern Beaches a convenient service that saves them a huge amount of travel time. Previously, customers from the North Shore wishing to do these tours had to meet tour groups in the Sydney city centre and accept the travel time involved. This is no longer necessary as we are now providing these interesting and exciting small group tours direct from Manly. Whether it’s our Blue Mountains tour, our Sydney Bush and Beaches Tour or our private tours of scenic Sydney, this is your chance to experience the "real Australia" and have the pleasure of being “off the beaten track”. Less tourists, more locals, great views, beautiful bush, peace, tranquillity and some fascinating places await you on our unique list of small group Sydney tours. 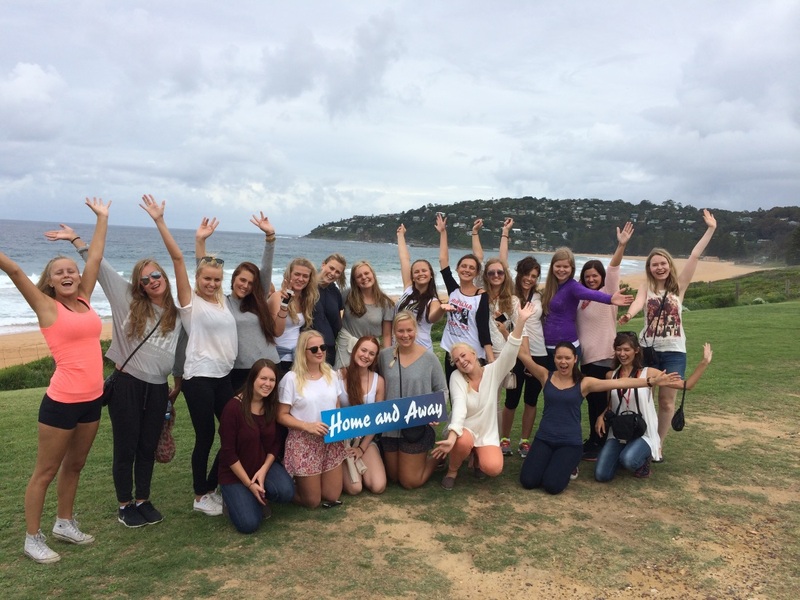 The Home and Away tour, leaves on weekdays only from the Rocks, Sydney at 1.15pm. It finishes in Manly at 4.45pm.